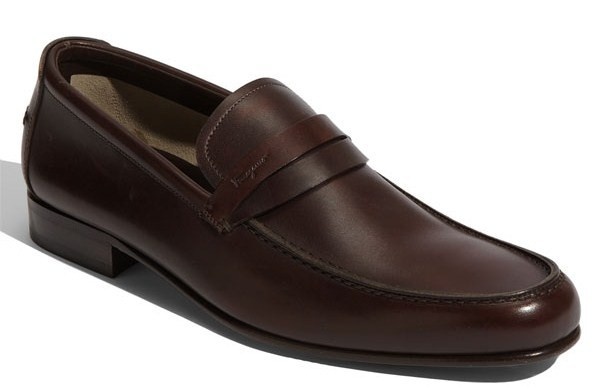 You can’t go wrong with this classic ‘Demonte’ loafer from Salvatore Ferragamo. The sleek double-strap slip-on shoe is meticulously crafted from fine leather, with an antiqued finish. The handsome brown shoe is a great choice with warmer weather coming up too. Available online. This entry was posted in Footwear and tagged Salvatore Ferragamo. Bookmark the permalink.